We offer Organic Poultry Feed to our clients. 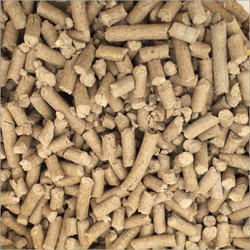 The consumption of the feed offered by us enhances the metabolism of the Poultry along with its egg laying capacity. Offered at pocket-friendly rates in customized and tamper proof packaging, this range is a highly acclaimed among our valued patrons. The entire range is 100% organic certified by SGS or Competent Authorizing Agency.